Welcome to the heartbeat of health care. We’re an award-winning organization of leading health care companies transforming health care in bold ways. Our employees are committed to getting health care right. Join us in our mission to create a remarkable health experience, freeing people to be their best. Together, we are the heartbeat of health care. Our people are vital to our vision. 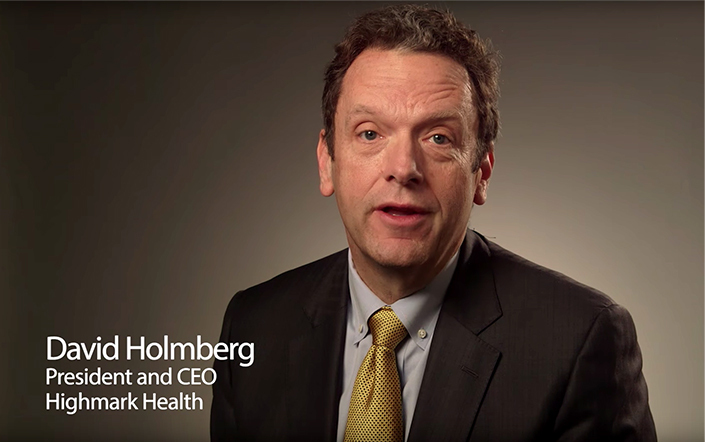 Highmark Health President and Chief Executive Officer David Holmberg shares why employees working at the Highmark Health enterprise are the heartbeat of health care. Highmark Health’s portfolio of leading health care companies come together to form a truly integrated health care offering, ensuring that the future of care is a complete, customer-centric experience. At the same time, each business area excels in its own right, offering unique and specialist areas of expertise.